Different businesses, schools, and countries may choose to define their own fiscal years to align with the tax season, school calendar, or whatever seems to suit their fancy. 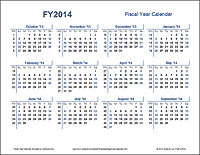 For example, the fiscal year for the U.S. government starts on October 1st and ends on September 30th of the following year. 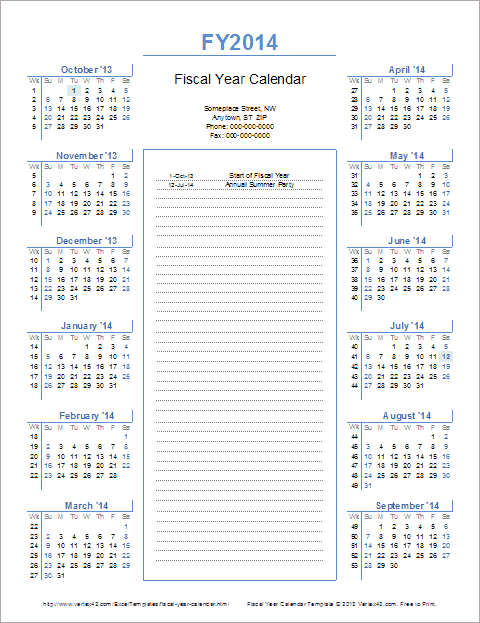 Our new Fiscal Year Calendar Template allows you to create a 12-month calendar by simply entering the date that your fiscal year starts. 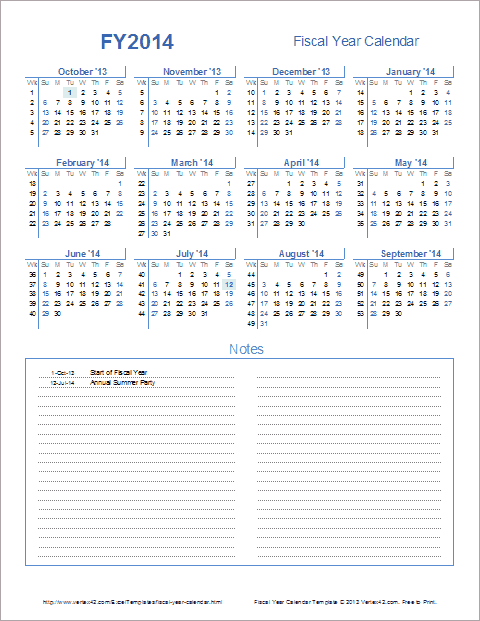 You can use most of our other yearly calendars to start on any given month, but this template also includes week numbers based on the start date (rather than on January 1st). 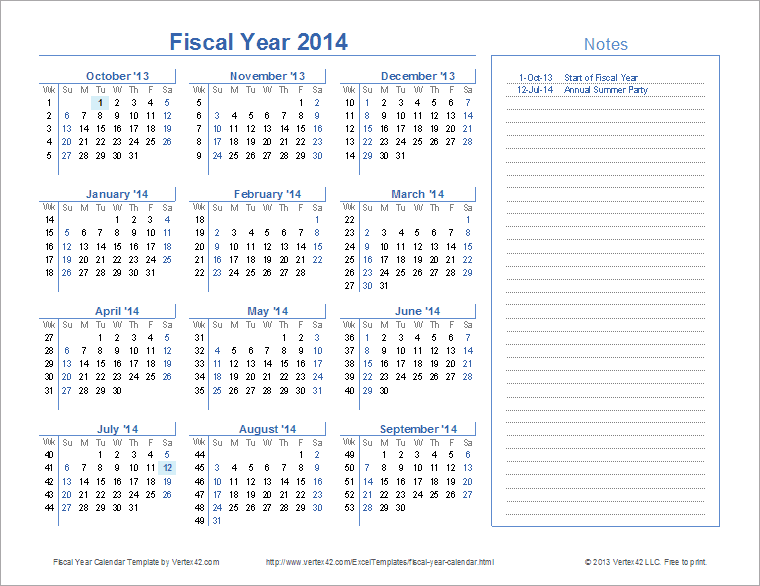 This 5-in-1 spreadsheet lets you create a fiscal year calendar by just entering the start date. 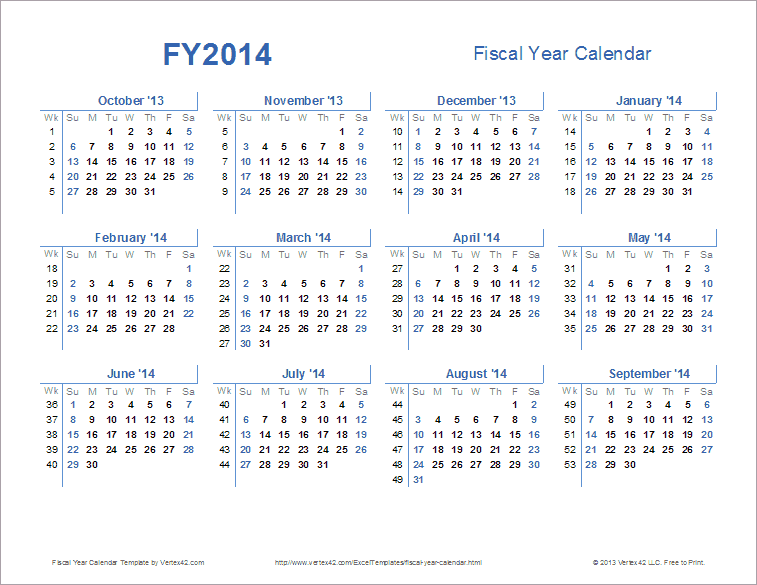 It also lists the week numbers, where week 1 is defined as the week containing the start date of the fiscal year. In addition to the screenshot above, there are 4 other layouts, each on a separate worksheet tab. 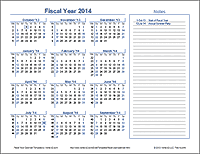 Some formats include a notes section where you can list special dates. 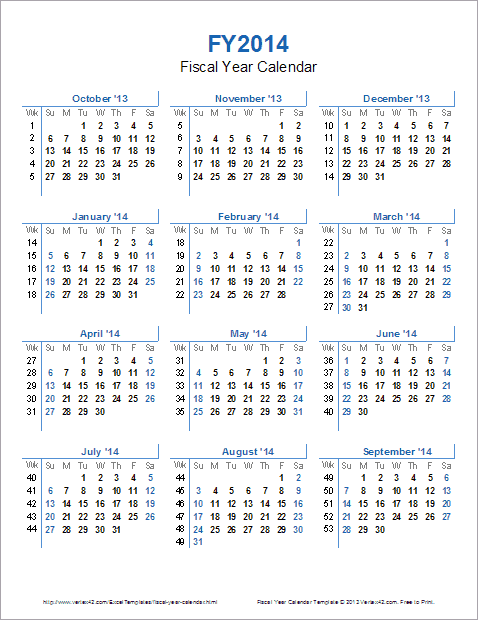 Those dates will be highlighted in the calendar. Note that this template is theme-enabled, meaning that you can change the color scheme by simply going to Page Layout > Colors.